Who doesn't want extra ground clearance and room for bigger tires? 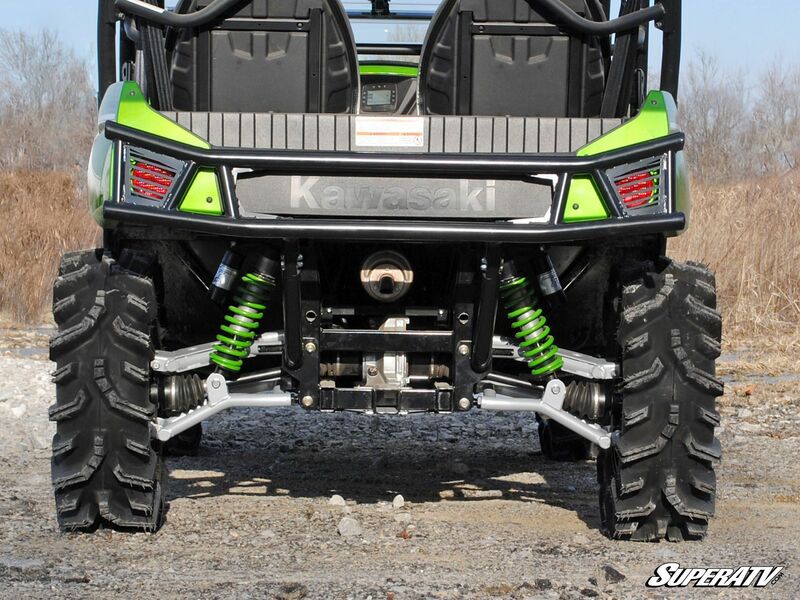 SuperATV's Teryx 4 high clearance rear a arms take your machine to unmatched style and performance. With an additional 1.5" of added ground clearance and 1.5" of extended wheel base, you'll clear obstacles that would once get you down. Backed by a lifetime warranty, our unique dual bend design arms are carefully crafted to maintain factory steering geometry. Pair with our 2" Lift Kit for ultimate ground clearance.